In vehicle transponder keys, the transmitter consists of a small microchip. An immobiliser works via radio frequency identification between a transponder in the ignition key and a device called a radio frequency reader in the steering column. Some keyless entry systems use transponder keys to send a command remotely. 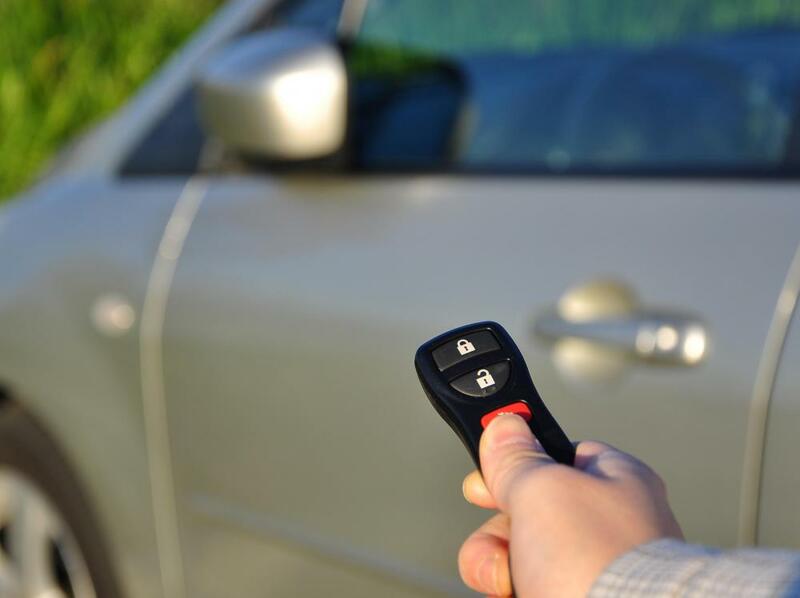 Transponder keys reduce the possibility of car theft. 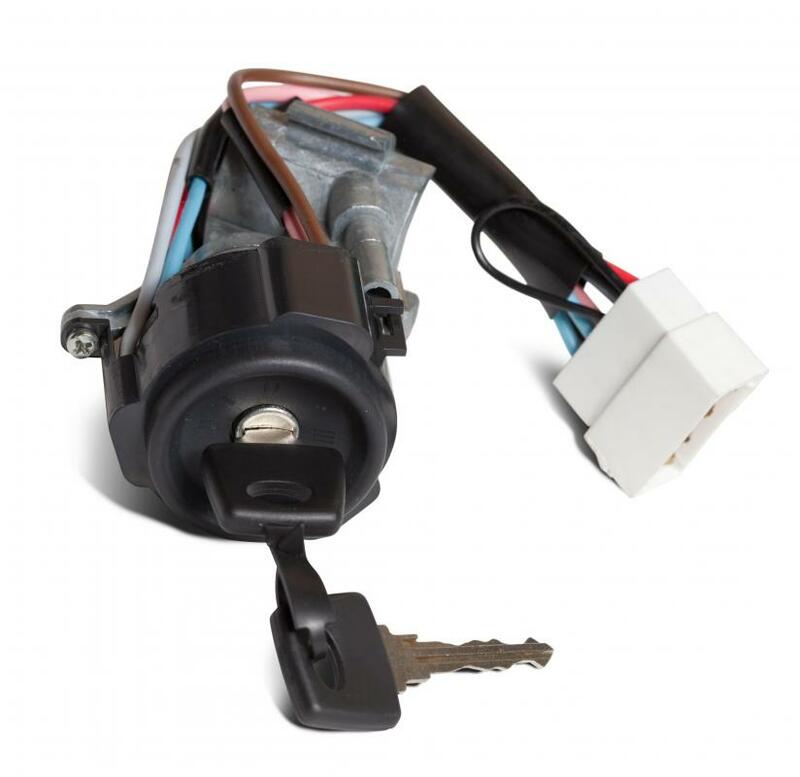 A car ignition switch and key. Transponder keys are devices designed to transmit a radio signal from a handheld device to a remote receiver. They're most commonly used to unlock and start vehicles, though they're also used in things like gate openers and keyless entry systems. Each one is programmed to only start a specific vehicle, to reduce the possibility of theft. There are a number of ways to bypass transponders, however, most of which can be done with inexpensive equipment. 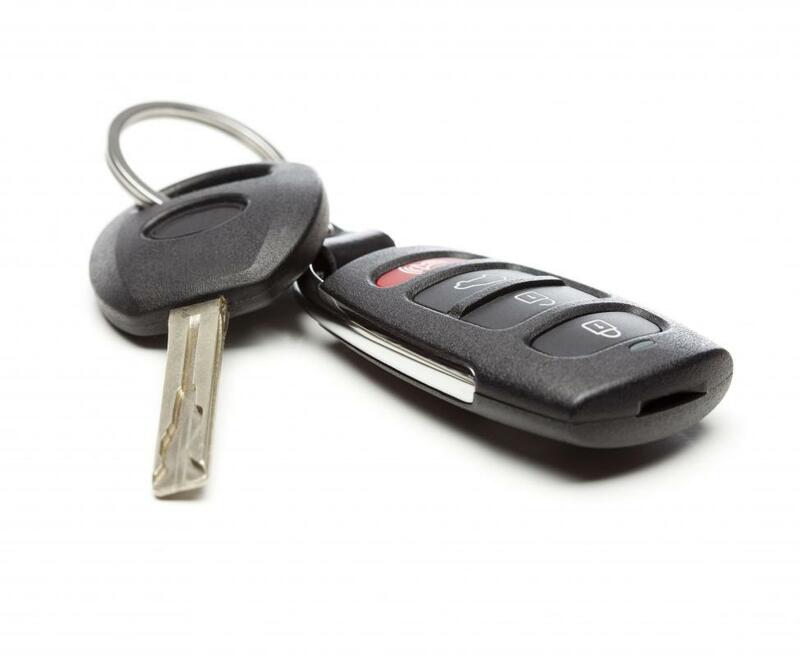 Transponder keys are available for many different cars, but are more common in new or high-end models. Though cars can be retrofitted for transponder systems, it's often expensive, since it involves creating or reprogramming their electrical system and making a new key. Locksmiths may be able to do this, but a person might have to go to an auto dealer, since they usually don't like to release their programming information, possibly for fear of theft. The technology involved in programming keys to specific vehicles has led many manufacturers and insurance companies to consider cars with transponder keys to be virtually theft-proof. There are many reports, however, of thieves finding ways around the system, sometimes simply by towing the car away, or by using a bypassing machine. The perception of being theft-proof has caused problems for some owners, as it can be more difficult to convince an insurance company if the car actually is stolen. Keeping at least two transponder keys on hand is generally a good idea, since replacements are generally very expensive. If replacements are needed, they can usually be made by an auto dealer or locksmith, but this can be expensive. There are also kits that can bypass transponders as well as tutorials for bypassing them with electrical relays and wiring. 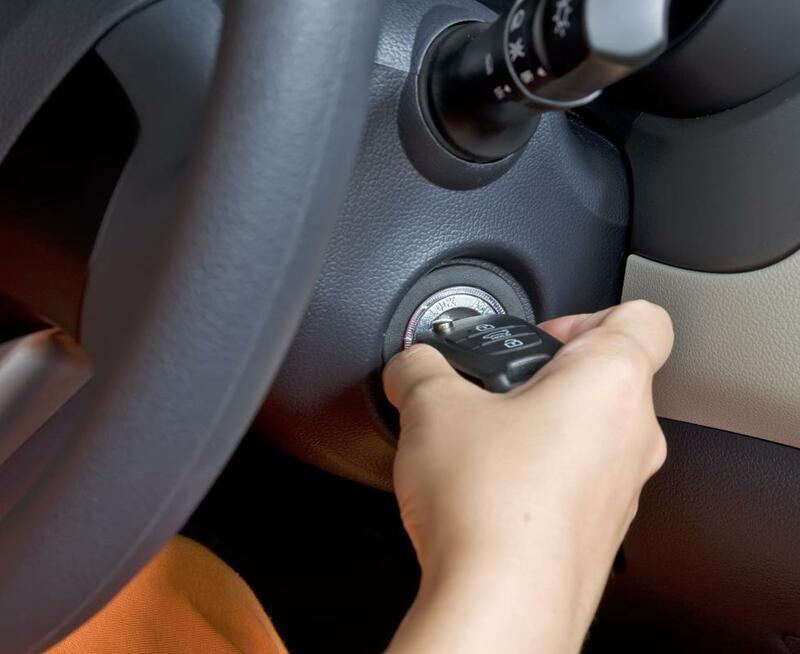 Additionally, some people get a new plain key cut for the ignition and tape the transponder key on the inside of the steering column so that it is close enough to turn off the engine immobilizers, and the person can start the car with a plain key. It is possible for drivers to program their own blank keys, but the process varies by vehicle make and model. There are many model-specific instructions posted on the Internet, but owners may have to experiment to find on that works. If all else fails, they can try contacting the manufacturer to see if they give out programming instructions or buy a new key. Besides being used to start cars, transponder technology can also be found in a variety of other applications. These include wireless alarm keys, garage or gate opening remote controls, and wireless house-entry systems. More recent advances in the technology have led to the development of keyless entry and starting systems. With these systems, the signal is continually sent out from the fob, and as it's in range of the receiver, the doors will be unlocked and car can be started with a push-button ignition. If the key is removed from the active range of the vehicle, the doors will lock automatically and an immobilizer system will be activated. What is a Key Programmer? 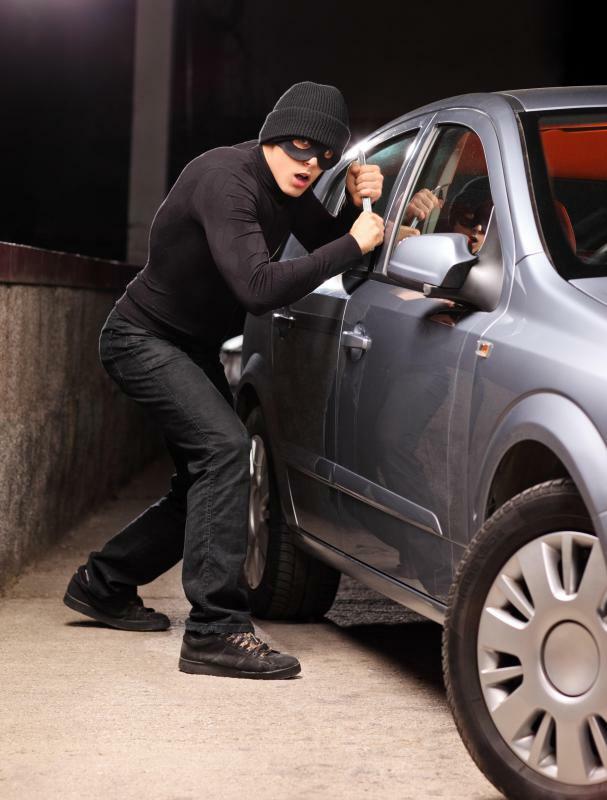 How can I Prevent Auto Theft? were supposed to be there in my left shoe (but weren't) until I got back to my truck an hour later. So the past week was all about raking horse trails, dragging a big magnet down the rapids, going through two sets of batteries swinging the metal detector, and not finding lost car keys! You can't imagine how despondent I became when I clicked the topic, "Finding Lost Car Keys" and realized it was not a tutorial on how to activate the transponder in the key lost in the wilderness to shout, "Hey I'm over here". Instead, here is this not so wise geek imagining that if anyone can't recall where she had put her keys down that the keys are "lost". Worse yet, the geek concludes with the lame claim, "Kyefinders can be attached to anything frequently lost, not just keys." So what exactly is this gizmo called a keyfinder? Let me guess: it's a transponder, right? I feel for the the poor people that the insurance companies have said their car could not have been stolen. In my line of work I see this sort of mentality all the time. If someone can make a security device, then someone can make a device to beat it. Are there any specific reasons why my factory installed keyless entry remote would become out of sync and require reprogramming? If someone stole my spare remote and reprogrammed it for another vehicle? Could that cause the one I have to become out of sync? Will the transponder in a key also record the day and time it was last used to start the car? Apparently a lot of repo guys just use a low dolly that slips under the drive wheels and doesn't activate any alarms. Its true criminals are now getting wise and use clever devices to open your car without even as much as a screwdriver. i had my car stolen a year ago and apparently that's how the thieves got it! technology is becoming too advanced. Our local police department has been circulating a warning the past year about thieves using a code reader to grab the transponder code from car remotes when you activate from more than a few feet away. They sit in shopping center parking lots and watch for unsuspecting victims. They suggest using the key to open the door when possible and to be close to the car if using the remote. As always be vigilant of your surroundings. Transponder keys are used for the vehicles of the past ten years. They are more likely to be seen in newer model cars. Basically they are keys with mini chips in them that transmit a signal to the vehicles transmission. @ PelesTears- The day I can have just one transponder to replace all of the different ones I use will be a happy day. I have a Transponder chip in the key of my truck, which, by the way, makes replacement car keys very expensive. I have a two-way transponder remote on my keychain for my car alarm, another for my condominium community gate, and another on my truck visor for my garage door. Imagine how easy it would be if I could replace my car keys, house keys, car alarm, garage door opener, and gate opener with a single two way remote. Better yet, I would pay for an app that would let me use my phone for all of this. That would be a real technological advancement in wireless technology. Keys used to be so simple, now it feels like I have a baseball in my pocket. Although this article talks about the transponder chip in keys, a transponder key can also be a remote that acts like a key. Wireless car alarm remotes, wireless garage door openers, wireless house keys, and wireless gate keys are all considered transponder keys. A transponder is simply a device that sends and receives information. Sonar devices, Radar guns, chipped keys, two-way security devices are all considered transponders.